Meet Sze-Wing Lau, the Museum’s Summer Camp Coordinator. 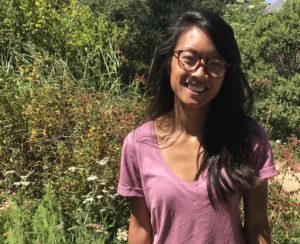 A San Francisco native, Sze-Wing graduated from UC Santa Cruz in 2015 with a major in environmental studies and a minor in education. She is interested in a career focused on sustainable agriculture and community outreach. And she loves working with children, which will come in handy during the month-long summer camps, which start July 9. She’ll be leading trips to the Norris Center and Arboretum at UCSC, as well as Neary Lagoon.